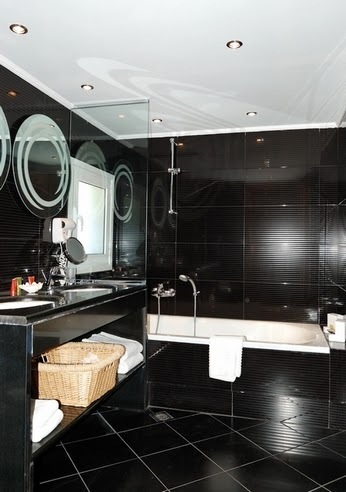 The bathroom ceiling should be water-resistant, and the smaller bathrooms should be taken more seriously in the request. In more compact bathroom surfaces are negatively affected by the aggressive environment. However, this is not a problem on the market today, it offers a variety of water-resistant materials for finishing the bathroom ceiling. 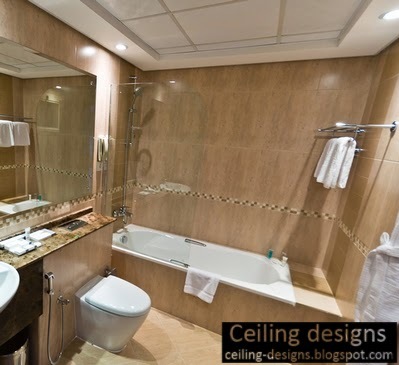 when choosing one of the many options you need to consider what solutions are suitable for bathroom ceiling design? What are their pros and cons? 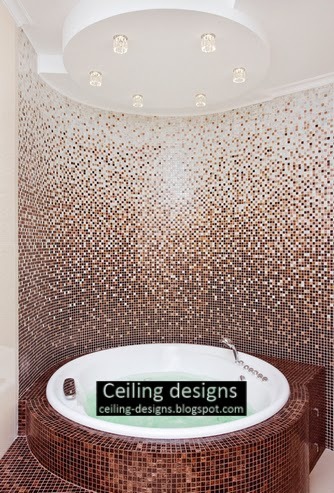 How to choose the design of the ceiling depending on the characteristics and style of the bathroom? Smooth white ceiling for the bathroom. This classical solution, perfect for any bathroom, regardless of its size, color, style. Smooth ceiling can be tinted base, outboard, stretch. The main condition of the white is flat and smooth. It can be embedded lights. Textured ceiling. 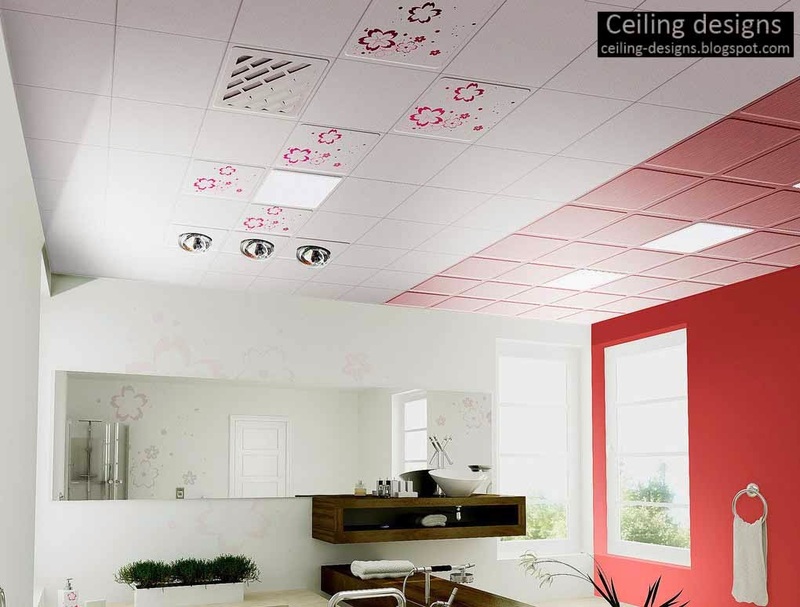 These include rack, tiled modular ceiling panels. Their feature - pronounced texture tiles or planks. 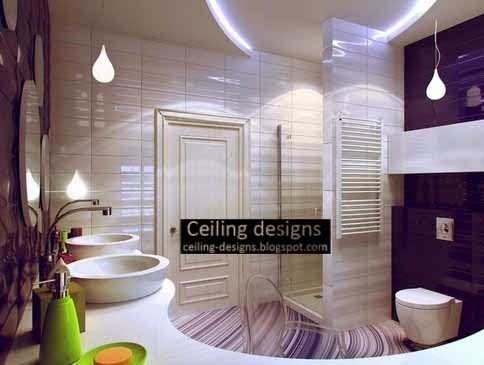 This ceiling is able to influence the perception of the bathroom geometry. For example, visually expand the space, reduce its height. Curly ceiling. Here we are talking about the so-called multi-level ceiling design. 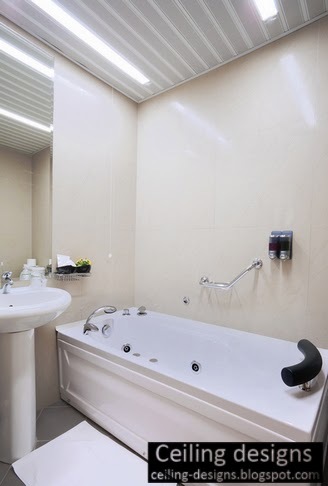 For example, just above the bath can be created from the circular structure of plasterboard. To figure it can be attributed in a classic two-level ceiling: the lower level is located on the perimeter and in the center is a niche. Painted ceiling in the bathroom. 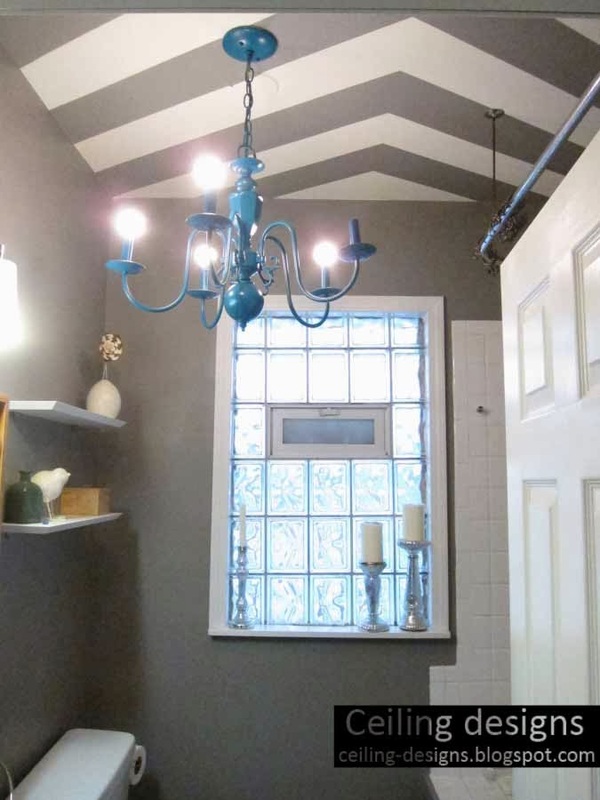 very original decision - not everyone dares to create a bright ceiling in a compact space. However, the result is impressive determination. This category can be attributed ceilings with stained and painted in a combined way.